Happy Friday everyone! 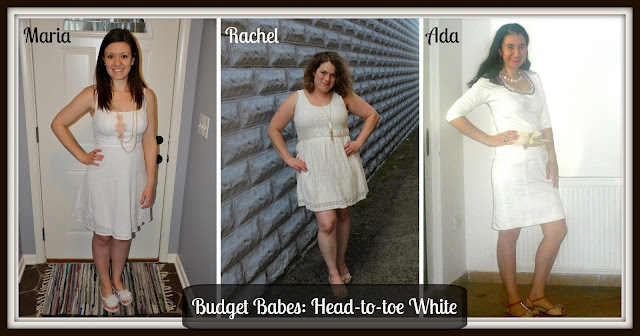 I'm back with Ada and Rachel for our final installment of Budget Babes. This week we are dressed in head-to-toe white! I love how we all had the same idea of pretty, summery dresses (or in Ada's case, a top and skirt!) and played them up with white or neutral accessories. Make sure to check out their posts! I hope you all have a great Memorial weekend (for us in the States)! I'm off for a fun bachelorette/wedding shower weekend with some college girlfriends! Since it's the last installment of our Budget Babes series, we are making this one a link-up! Please share with us some of your favorite Spring looks you've recently worn! Thanks for coming! We would love to see your spring themed looks! 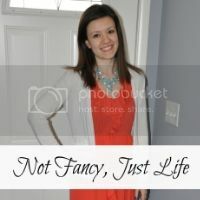 Please follow your hosts Ada (Bloglovin) Maria (Bloglovin) and Rachel (Bloglovin) and provide a back link of this post from one of our posts so that others can find us and to be nice. Please link up as many links with a spring theme and visit 2 or 3 other links. Thank you! We can't wait to see what you come up with. I had no idea this lovely outfit was a tribute to your wedding, pretty Maria. Love it all, especially the dress. 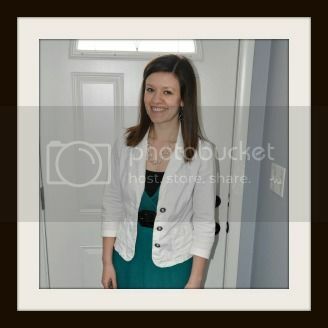 Perfect and Summery and it would be great for a semi-dressy Memorial weekend party also. I am so glad, you, Rachel and I did this together this Spring and each week out outfits were stylish, on trend and for a great pirce, too. Happy Memorial's Day Weekend, Hun! <3 Ada. Such a cute outfit and a fun throwback to your wedding! Lovely dress. love that the shoe were from you wedding day. Have a great weekend. Your dress is adorable! This all white look is so pretty! I love that your sandals are from your wedding! Aww you guys all look so pretty! Loving the all-white look. Those sandals are just adorable!